BLOOMINGTON, Ind. (Jan. 11, 2017) – AB BioTechnologies, a pharmaceutical development company located in Monroe County, will invest $10.5 million to construct and equip a new 23,000 square foot manufacturing facility in Monroe County, and create up to 33 new high-wage jobs by 2020. The company will add manufacturing services for formulating, filling, freeze-drying, and packaging injectable drugs for Clinical Trial studies. AB BioTechnologies was founded in 2008 and has expanded into an internationally-recognized drug development company in the pharmaceutical industry. With the addition of its contract manufacturing services, the company will be able to shorten the time it takes to transfer a drug from concept to the clinic. The Indiana Economic Development Corporation offered AB BioTechnologies, Inc. up to $290,000 in conditional tax credits and up to $30,000 in training grants based on the company’s job creation plans. Monroe County offered a tax abatement over a ten-year period. The company plans to begin hiring early this year for technical and support positions. Interested applicants may apply by submitting a resume to info@ab-biotech.com. Jeff Schwegman, Ph.D. founded AB BioTechnologies in February of 2008. Dr. Schwegman had more than 16 years of experience working in the contract development/manufacturing pharmaceutical industry before launching AB BioTechnologies, initially a teaching and consulting firm. AB BioTechnologies started small and budget efficient in the back bedroom of Dr. Schwegman’s home. In early 2010 the first small laboratory was opened, and the company quickly grew over the next few years tripling profits each year, adding new lab equipment, and going through two lab expansions to keep up with the demand for their services. For more information about AB BioTechnologies Inc., please visit www.ab-biotech.com. The BEDC is a not-for-profit organization dedicated to the retention, development and attraction of quality jobs in Monroe County. 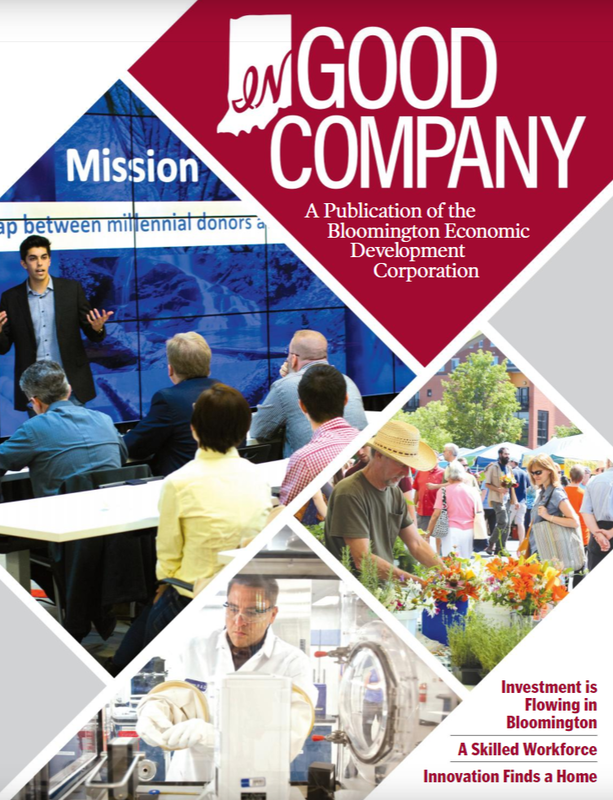 The BEDC is led by a partnership of private industry leaders, the City of Bloomington, Monroe County, Indiana University and Ivy Tech Community College–Bloomington. For more information, visit www.bloomingtonedc.com.